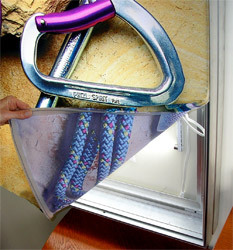 SuperStructure's New FAB Framing System for mounting FABrics and Vinyl with a full graphic face. Sleek anodized aluminum FAB frames are simple to assemble and work with a push in tab on the graphics. Taunt "wrinkle free" graphics with no pockets or tensioning rods. 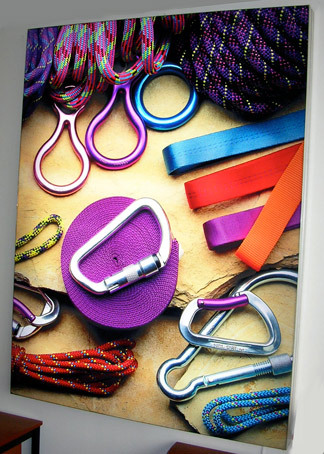 Custom made to your specifications, FAB Frames and FAB Light Boxes are available as stand alone, wall mounted, suspended, and pole supported units. Single sided, double sided & multisided 3-Dimensional shapes.